Opened 1895. Destroyed by fire in 1930. 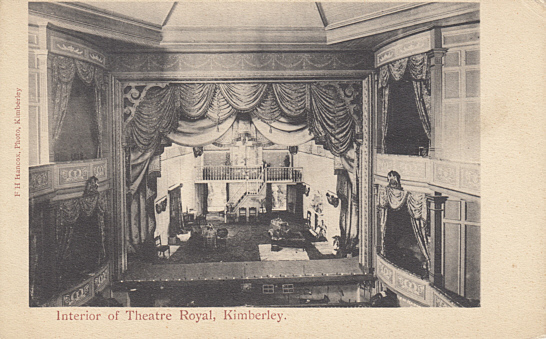 Front Text: "Interior of Theatre Royal, Kimberley"